Polar Design, Inc. along with its Polarpak and Promopak brands has been acquired by the Sport Innovation Group, Inc.
Polar Design, Inc. has been focusing on the Hydration Pack market's reservoir evolution with its ground breaking and completely redesigned 2007 Polarpak (Gel Cooled, Patented) and soon to be released MOFLOW (Pressurized, Patent Pending) hydration systems and running waist packs. 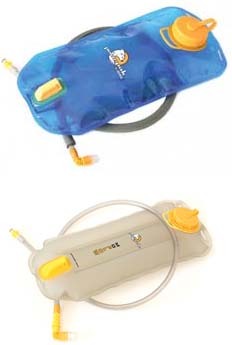 In addition to these retail lines, Sport Innovation Group has also netted their Promopak brand and product line, which supplies custom embroidered hydration packs to the Promotional and Outdoor industries, as well as their OEM business which supplies reservoirs and custom hydration solutions to marquee brands such as Oakley, and other clients including the U.S. Government. Sport Innovation Group, Inc. is a privately held company which now designs, manufactures, and markets cutting edge outdoor equipment, hydration systems, backpacks, and running waist packs. For more information call 1-208-426-9058 or visit www.polarpak.com.